I’ve been a BBEdit user since probably 1994 (that’s the oldest floppy disk I can find) and I’ve loved it. Back when I worked at WeoGeo though, I flirted with TextMate as did many others who worked with Ruby. But that project imploded with the 2.0 beta so I moved back to BBEdit with MacVim running when I needed command line editing. I’ve dabbled in Sublime Text but I just never cared for it so I stuck with BBEdit. I’ve used Atom on and off since GitHub had their beta but I stuck with BBEdit for what I’m guess are “historic reasons”. 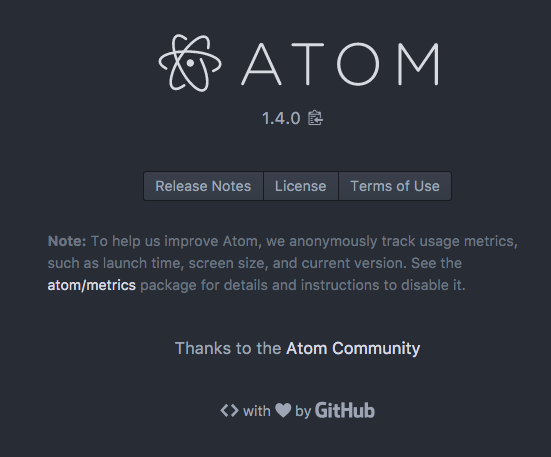 Atom, being born out of GitHub is modern and has what appears to be a robust community behind it with packages and themes. Brackets is intriguing but I just can’t get my head behind using an Adobe product (even if it is open source). I feel like Adobe PageMill might just suddenly appear on my desktop. The biggest +/- of Brackets is that it is designed for web design. It doesn’t concern itself with Objective C or Swift coding. It’s focused on web technology which simplifies it a bit but limits my use of it. I like the idea of just using one editor and staying with it. Now Microsoft Studio Code is very good. I’ve really liked using it and it too has a robust community developing extensions. Plus it is built on Electron which is the underpinnings of Atom.